1. Monday, March 18, 2019; 2-3:30 pm PDT (4-5:30 pm CDT, 5-6:30 pm EDT): No show for today. Monday is for special and timely programs only. 2. 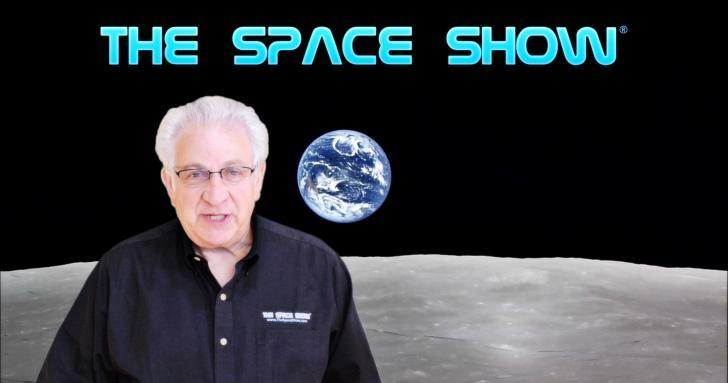 Tuesday, March 19, 2019; 7-8:30 pm PDT (9-10:30 pm CDT, 10-11:30 pm EDT): We welcome back Ed Wright who will talk some about the Space Access Conference but also tell us about the upcoming 50th special event for The Space Studies Institute. 3. Wednesday, March 20 2019; Hotel Mars. See Upcoming Show Menu and the website newsletter for details. Hotel Mars is pre-recorded by John Batchelor. It is archived on The Space Show site after John posts it on his website. 4. Thursday, March 21, 2019; 7-8:30 pm PDT (9-10:30 pm CDT, 10-11:30 pm EDT): We welcome back Henry Vanderbilt and Michael Wallis for Space Access Society event news and information including the upcoming Space Access 2019 Conference. Don’t miss it. 5. Friday, March 22, 2019; 9:30-11 am PDT (11:30 am -1 pm CDT, 12:30-2 pm EDT): There is no show this Friday as we moved the program to Thursday evening. 6. Sunday, March 24, 2019; 12-1:30 pm PDT (3-4:30 pm EDT, 2-3:30 pm CDT): We welcome back Chris Carberry of Explore Mars, Inc. to discuss this years Human2Mars upcoming event. ** Fri, 03/15/2019 – 09:30 – David Shayler discussed “human spaceflight history, space stations, Gemini as a teaching mission, commercial space, humans to the Moon and Mars, orbital human spaceflight, the importance of a space future and more”. ** Tue, 03/12/2019 – Chris Blackerby, COO of Astroscale, talked about “removing space debris, business plans, effective development strategies, making a profit, risk, technology development, propulsion and more”. , lunar lander computers, landers today, human spaceflight and much more”.